World of Wine Passport Event is Saturday and Sunday March 2 & 3. Buy your tickets now! 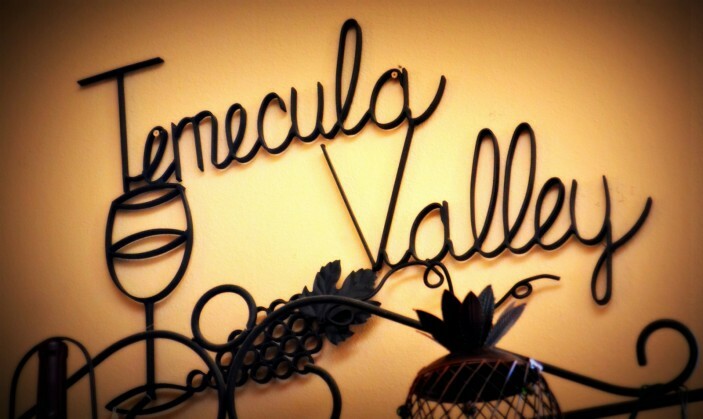 Exciting Temecula Valley winery events for March include Easter brunch, women & wine craft night, 15K race, food truck Friday, live music and entertainment, happy hours, cooking class, spa and overnight packages! Scroll down for all the details. Saturday, March 9; 12:00p-4:00p; $5 – Includes personalized wine tastings, displayed and tray passes hors d’oeuvres. Join us for our first chef & winemaker dinner of the year. Our Winemaker, Craig Larson, and Meritage at Callaway’s Executive Chef, Michael Henry are collaborating to bring you a truly exquisite and unique wine & culinary feast. Tickets include a sparkling wine reception with Winemaker Craig Larson, a five-course meal paired with Callaway wine, and a special gift to commemorate the dinner. At this month’s “Women & Wine” event visit with friends, decorate your own wine glass with special paints, bling and feathers. Need some wine time with your girlfriends? Join us the last Wednesday of every month in our Reserve Room for “Women & Wine Wednesday” Visit with old friends, mingle with new ones, sample some of your favorite Callaway wines and enjoy light appetizers. Each gathering will have a unique theme or craft to make & take home! Seatings from 11:00am to 2:00pm. $42.95 per adult, $18.95 for children 5-11; children under 4 are free. RSVP today at 951-587-8889. You’re invited to experience a festive Springtime brunch at Meritage at Callaway. Enjoy a special brunch menu filled with a delectable assortment of unique culinary dishes and a few traditional selections. Race through country roads and vineyards as you wind your way to the finish line and a glass of green champagne in honor of St. Patrick’s Day! 21+ race entry includes a champagne tasting and a signature glass to keep. Then, spend the afternoon celebrating the Irish way at Cougar Vineyard and Winery with all day specials for race participants. Limited to 200 people, so register today! For more information and to order tickets, click here. Sunday, March 31. Seatings from 10:00a-3:30p; $49.95 per person, plus tax; $44.95 per person, plus tax, wine club members. Children 3-10 are $19 plus tax, wine club members, $15, plus tax. Children under 3, free. Special Easter gifts will be given to all children upon arrival. The brunch will consist of multiple food stations and be available for reservations from 10am to 3:30pm. All food will be prepared by their award winning “Best Chef”, Executive Chef Gianni Ciciliot and his excellent staff. As the name implies, Champagne will be part of the meal along with other beverage options including discounted wine by the glass. Live entertainment will also be provided. Our host Tony will take you through a comprehensive tour and tasting explaining in detail our Grape Growing, Harvest, and Wine Making processes . Journey within the life of the vine, through vibrant movement of the body. Then wind down with an alfresco pairing of our refreshing wines, seasonal fruits and artisan cheeses. Saturday March 23, 2013. Reception 6:30 PM | Dinner 7:00 PM. Wine Club Members $125 per person; Non- Members $140 per person. Price per person includes one bottle of reserve wine! You are cordially invited to join us for a very special, intimate evening with Monte De Oro’s Winemaker and Managing Member. While indulging in several sensational black label reserve wines and tempting barrel samples, delight your senses with an amazing five-course wine and food experience designed to surprise and captivate your epicurean senses! For more information, please call 951-491-6551 or email info@montedeoro.com. Come to Oak Mountain Winery for a night of wine, food and fun while Temecula Catering’s Chef Michael Cragg teaches you how to make a gourmet meal. You will learn to make (hands on!) and then eat a four course meal paired with Oak Mountain wine. Happy Hour 12-4/Dinner 5:30-9 – Call 951-587-9463 or click here today. Fridays-Sundays Call 951-587-9463 or visit http://www.wineresort.com today. Lemongrass Ritual at South Coast Winery’s GrapeSeed Spa Weekdays in March. Encounter the healing qualities of the ancient art of warm stones and chakra centers. This 50 minute spa ritual commences with a soothing massage with richly infused butters and oils of Thai Lemongrass and ginger. Relax as the back is massaged with warm stones. Continue this healing ritual with the warm stones placed on the chakras of the heart and body to rebalance, unwind and soothe mind, body and spirit. Leave with a keepsake of the soothing oil. No black out or weekend dates. Good through March 1st– March 31st 2013. March on in to South Coast Winery Resort & Spa this month and let our expert wedding and event planners turn your wedding into an unforgettable wedding fantasy. Just add in up to 40 of your closest friends and family and $2,100 (INCLUSIVE) and your dream wedding becomes a reality! Call 951-587-9463 for details or click here for more details. Complimentary Demi Cabana for 4 – Demi cabana available 8am-1pm or 1pm-6pm. Vino Vinyasa class to be taken during time frame of cabana rental only. Package Price: Sun – Thurs $ 479/night – That’s just $119.75 pp with 4. Fri – Sat $ 50/night additional. Call 951-587-9463 for details or click here for more details.